The Bare Necessities song from the Jungle Book is perhaps one of the most iconic Disney songs of all time. Could the lyrics be right? Could “mother nature’s recipes” fulfil the basic needs for humans worldwide? Maybe it was this logic that inspired Sainsbury’s decision to introduce insects, specifically barbecue flavoured crickets, to their shelves this week. This food launch isn’t as random as first appears. Since January 1st, the European Commission has been able to directly approve applications for the introduction of edible insect products in continental supply chains. Prior to this, E.U. Legislation was an obstacle to insect consumption. Since then, eating insects has increased at such a sharp rate that the latest Meticulous Research™ report estimates that by 2023 the edible insect industry will be worth a whopping $1,181.6 million! No longer does the E.U. have reason to prevent producers of edible insects from spreading their wings in western food markets. Economically, who can really blame them? At that rate, insects will exceed the worth of their weight in gold. This is a particularly shocking statistic. How can a food source so unappealing to European taste buds, have such a large demand elsewhere in the world? Well, it turns out that the suitability of insects as food is now being realised. The technology is now available to efficiently produce insects on a mass scale. Take the Austin based edible insect company Aspire Food Group, who went from earning their first revenue dollar to operating a robot staffed research centre in less than 3 years. Furthermore, the increasing profit of companies such as these is creating a butterfly effect, culminating worldwide research into insect consumption. Higher profits mean more money is now put into experiments proving insects to be safe for human consumption under the General Food Law. As of late, there are now over 2000 species known to be edible for human consumption worldwide. Research is also starting to reveal desirable characteristics of insects as both a food source and a form of livestock. For example, critters such as crickets, regularly adopt the taste of whatever they are fed or cooked with. It’s therefore assumed they have the potential to be a great source of protein for even the world’s pickiest eaters. Studies in the Netherlands even prove that 64% of insect meals can currently satisfy all nutritional requirements. 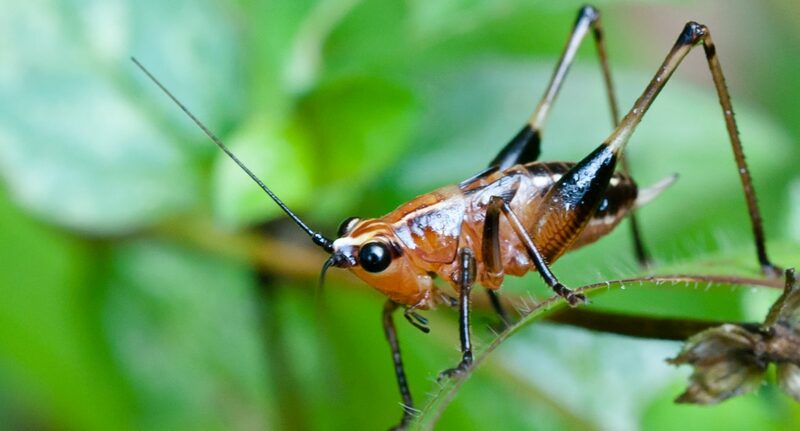 It has also been discussed how crickets can be reared purely on unsold food from supermarkets. This possibility could create a food source sustained purely on recycled food products; idealistically, this will produce a supply chain with minimal inputs and negligible food waste. A livestock which requires less feed will produce significantly more stock for the resource-scarce populations of the world. Unfortunately, the historical connotations of insects being ‘pests’ and unsanitary is what has hindered their consumption in the west. However, in a world of increasing migration, social stigmas surrounding food is rapidly disappearing. There is no reason to suggest that insects can’t join the list of delicacies that have undergone an improvement in public image. Take the lobster — in only 20 years they have transformed from a food consumed only in America’s toughest prisons to an upper-class New York delicacy. So, what about the starved people of the world? Now, although these technological innovations are happening rapidly, globalisation isn’t quite so speedy. Currently, the starving countries of the world are lacking the resources and energy to create these huge factories. That said, a closer analysis of the biology of insects indicates their potential to feed anyone, anywhere in the world. The consumption of insects is thought to be preventing the starvation of almost 2 billion people in areas of high risk to food insecurity — and these numbers can only improve. Unlike every other form of livestock, insects are cold-blooded. This trait is advantageous for farmers in food scarce areas, as insects require less food for energy than warmblooded mammals, who have to maintain a certain body temperature. As food scarce areas are often subject to high average temperatures, there’s no worry of insects getting too cold to mate in the daytime. The resilience of these creatures makes them an ideal match for the arid climates of food scarce areas such as Central Africa. Their surface area to volume ratio results in little water loss from their bodies in extreme heat. For cultivation purposes, some species wouldn’t require a single drop of water for survival, as they can obtain sufficient moisture from food. Their incredible genetics can also go beyond the limits of climate. They require a minimal amount of space for cultivation, unlike cattle due to their small size. Their susceptibility to disease is also lower than conventional livestock, making them a low-risk asset — a vital aspect for a farmer whose survival is dependent on a food source being constantly healthy. Even in the most extreme of environments such as sites of high radioactive exposure, cockroaches can still withstand mutations. Their slow cell cycles prevent abnormalities rapidly developing. That said, radioactive cockroaches are absolutely not FAO approved, and will hopefully stay away from the stock lists of the nation’s Sainsbury’s. Insects are also very well suited to areas where a sustainable food source is an immediate requirement. The short development cycle of insects results in produce being available very quickly after reproduction. Termites take an average of 30 days to hatch, and 2 termites can develop into a whole colony in as little as 3 years. Like birds, insects don’t even need to hatch to be edible; Mexican Caviar is a dish that has been a popular delicacy in Mexico since the age of the Aztecs. Just as farmers in Vietnam demonstrate, all you need for an insect cultivation station is a few crickets, a plastic bowl, food waste, sticky tape, an egg carton, rice hull, and a mosquito net. With these items, anyone could theoretically sustain their nutrition levels, and eliminate the environmental reliance that mainstream crops and livestock have today.